A birth defect is a serious health condition that can be present at the time of birth. Your babies health can be severely compromised and it can lead to long-term health issues throughout their life. 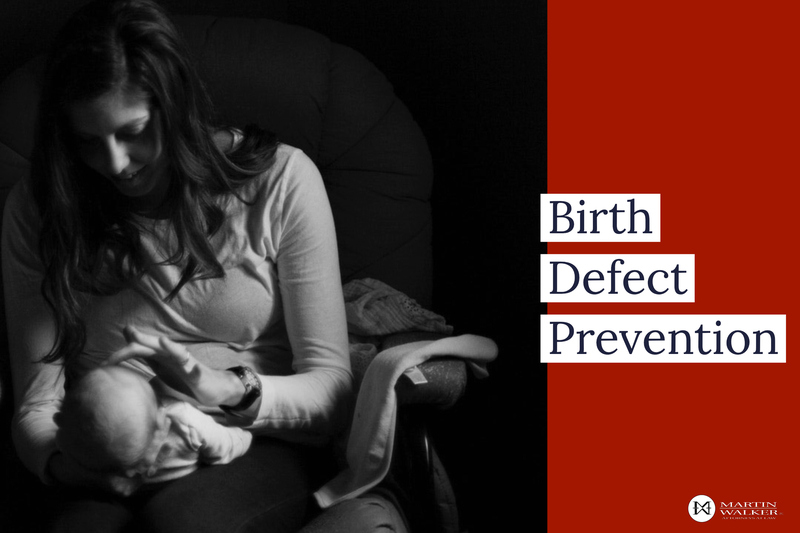 If you didn’t already know, January is National Birth Defects Prevention Month, and we want all East Texans to be made fully aware of this issue. There are some common things expectant mothers can do to prevent this that most people are aware of such as avoiding alcohol and eating too much fish. However, there are also some issues related to medical negligence from inadequate or improper care during the course of a mothers pregnancy. The good news is that most birth defects are fully preventable if the health care provider is paying attention and doing a good job of taking care of you and the health of your baby. Keep in mind that if your baby has suffered a birth defect because of the negligence of a health care provider, you can be compensated. At Martin Walker Law, we are fully capable of handling situations like this for you. If you would like to consult with us for free do not hesitate to call our office today. (903) 526-1600.